In recent years, SEGA has a had rough time, from shutting down their European offices all together back in 2012 to Sonic the Hedgehog suffering from quality issues. SEGA has also really slimmed down as a company and have only developed a small selection of games in recent years, primarily focusing on publishing. T, however, ever have been on the up and up in the last several months, with Persona 5, among other things, being a global hit, both financially and critically. Because of that, SEGA seems to be gearing up for a major brand revival, referring to the “Road to 2020” business presentation for the fiscal year, which ended March 31. SEGA has ambitious plans to release titles that will be “game changers” and aims to create titles that will become “global hits” by utilising and reviving dormant IPs they still own. So today, I'll be breaking down iconic SEGA-owned games that I think could potentially become “global hits”. 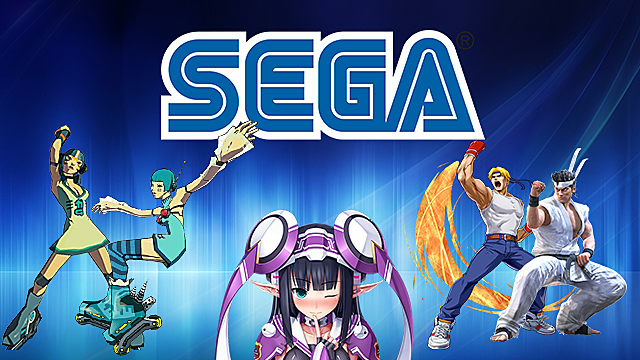 Does SEGA understand the concept of love? Sometimes, I honestly wonder. But I think now is the perfect time to capitalize on the nostalgia factor of Jet Set Radio. The last we saw from this series was the 2012 remaster of JSR, which released on Steam and last-gen consoles. But with Microsoft hyping up everyone's nostalgia and releasing HD remasters for classic Xbox titles like Voodoo and Phantom Dust for the Windows 10 Store, Xbox One, and the upcoming Project Scorpio, I believe now would be the key time to release an HD remaster for Jet Set Radio Future. 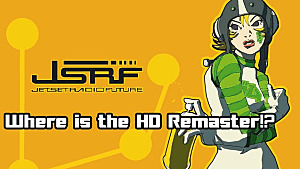 Fans have been foaming at the mouth for a remaster of JSRF since the release of the HD remaster of JSR. So it only seems logical that a remake or remaster is in the works, considering JSRF was an even better game over all. But if SEGA are also aiming to revive old IPs, then another potential avenue to take into consideration would be a new game altogether, especially with the market completely devoid of decent major extreme sports games. Tony Hawk's Pro Skater 5 fell completely flat, and EA's Skate series has been on ice since developer Black Box Games was shut down in 2013. You could make the argument that Ubisoft has been throwing their hat in the mix with Steep, but that's more geared toward winter sports, not concrete extreme sports. I genuinely think another delve into the world of graffiti and inline skating with a beautiful and highly stylized cel-shaded art style could be a huge hit for SEGA. If you're like me and you grew up on SEGA hardware, then chances are you're familiar with Phantasy Star. Whether it's the original Phantasy Star games released on the Master System in the late 80's or Phantasy Star Online, originally released on the SEGA Dreamcast in Japan in 2000, you're probably jonesing for a new entry in the series. However, Phantasy Star is still going strong today in Japan in the form of the on-going and very popular MMORPG, Phantasy Star Online 2. But I think if SEGA is aiming to revive or utilize existing IPs, then creating a brand new Phantasy Star game in a more traditional RPG format might be another “global hit”. I've heard many people make the bold statement that Persona 5 is the best turn-based JRPG they've ever played -- or even the best game in the genre today. But with other JRPGs such as Final Fantasy XV making waves worldwide, I don't see why a new Phantasy Star couldn't achieve something similar for SEGA. As a series, Phantasy Star has a deep lore and history Sega could easily tap into with a brand new game. They could introduce the series to a whole new audience in West. If SEGA plays its cards right, the company could easily make Phantasy Star another popular global name in JRPGs. I personally grew up on the SEGA Genesis. It was my first console and Streets of Rage was my first introduction to the wonderful 2D beat em' up genre. 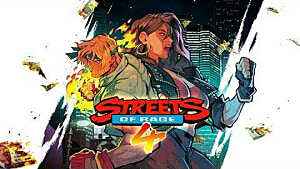 But as of late, the Streets of Rage series has been made into a plethora of re-releases on multiple platforms, from consoles to handhelds and mobile devices -- all of varying quality. However, if SEGA is attempting to revive old IPs and aim to do so with Streets of Rage, then I believe their best bet would be to mimic the success of Double Dragon and River City Ransom. Both of these franchises and the 2D beat em' up genre in general are experiencing a bit of renaissance right now. Double Dragon has seen the release of Double Dragon Neon in 2012 and the classically-inspired Double Dragon IV released recently. While River City Ransom, on the other hand, has seen the release of River City Ransom: Underground. The key thing to note about both of these new releases is that they aren't trying to reinvent the wheel or come up with a brand new game. 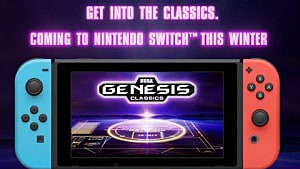 Both of these games are banking on nostalgia while delivering a brand new game with the same classic style and gameplay. If SEGA attempt to revive Streets of Rage, this would hands down be the best approach. The horror genre has also been experiencing a bit of a renaissance in recent years by actually becoming... (gasp) scary again. Of course, we know Hideo Kojima's now cancelled P.T. sparked a storm of excitement for a potential new entry in Silent Hill franchise, only to be dashed by Konami. But in the wake of disappointment, new hope arose. 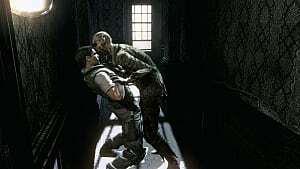 For example, Capcom took a bold new direction with Resident Evil 7 and aimed to go back to its horror root, while introducing a new concept to the series -- first-person action-horror. 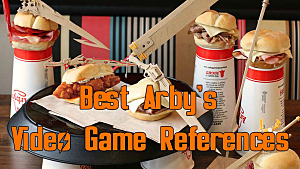 But you know what series has already done this and did it masterfully, long before the likes of Outlast and Amnesia ? Condemned: Criminal Origins. 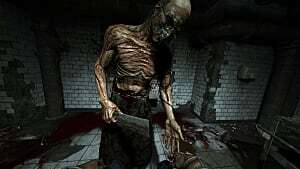 Condemned: Criminal Origins, which released in 2005, was easily one of the scariest games I had played at the time. (Who would have guessed insane homeless people and mannequins could be so scary?) Since then, the last we've seen of this series was Condemned 2: Bloodshot, which released in 2008. Considering this franchise has been on ice for nearly a decade, now would be the perfect time to capitalize and for SEGA to release a third entry in the series. Sticking to its first-person horror roots, Condemned could easily fit right in and become a new genre-defining staple in video game horror, especially if given enough love from its creators. Fighting games aren't experiencing a renaissance -- they're at the absolute peak of their popularity. With the rise of competitive gaming and e-sports in general, fighting games have had a huge come back in the past decade. With Capcom milking Street Fighter for all its worth and dominating the competitive fighting scene and Netherrealm reviving Mortal Kombat and giving us Injustice: Gods Among Us and Injustice 2, the fighting game genre is alive and well -- and impacting new audiences around the globe. So having said that, it completely baffles me that SEGA has been sitting on the golden egg that is Virtua Fighter for more or less a decade. Virtua Fighter 5 released in 2007 and has since seen a number of minor iterations, such as Virtua Fighter 5 R (arcade exclusive for Japan), and 2012's Virtua Fighter 5: Final Showdown. If there is one series here for SEGA that could be the huge, “global hit” they're striving for, Virtua Fighter has that potential and then some. What's more, Virtua Fighter is one of the most complex 3D fighting games I've ever played -- even more so than Tekken. I think if given proper attention, like Netherrealm has achieved with Mortal Kombat and Injustice, SEGA could easily rival what Capcom has managed in the competitive fighting community. 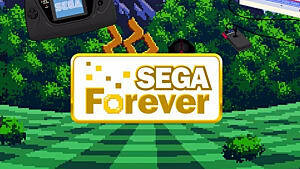 All in all, SEGA is sitting on a veritable gold mine of extremely popular IPs, a gold mine they're currently wasting. From Phantasy Star to Virtua Fighter and more, SEGA mustn't fall into the same trap that other companies (cough, Konami) has fallen into and instead give gamers what they really want -- revived IPs from yesteryear. But what do you guys think? 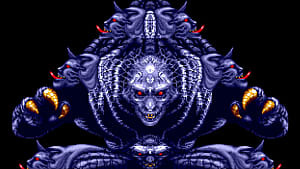 What classic SEGA games would you like to potentially see revived? I'd love to know! For everything SEGA related, stay tuned to GameSkinny.